The article featured several of the Project on Predatory Student Lending’s major victories in court asserting student borrowers’ rights. These favorable rulings are a testament to our clients’ perseverance and willingness to stand up to the Department and drive change for student borrowers who attended for-profit colleges across the nation. One such client, Meaghan Bauer, is profiled in the article. Meaghan was one of the plaintiffs we represented in Bauer v. DeVos. In winning that case, she thwarted the Department of Education’s attempts to prevent the implementation of the 2016 borrower defense rule. Because of this lawsuit, the rule prohibiting schools from taking federal money while forcing students to arbitrate their claims against schools took effect. Meaghan talked to the Times about her experience the for-profit New England Institute of Art, and how the debt she incurred as a result of the school’s fraud has affected her life. 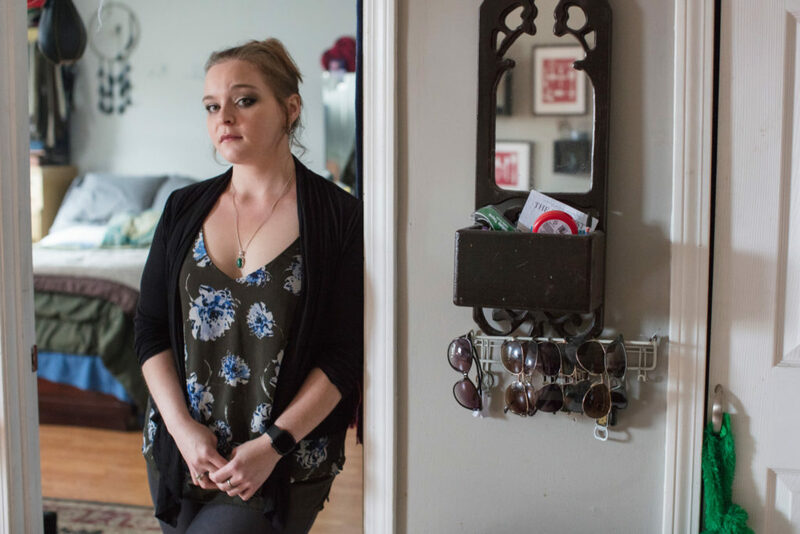 Meaghan is just one of the many thousands who are waiting for the Department to rule on their borrower defense applications. Right now, “more than 100,000 claims for relief are in limbo, according to the Education Department’s most recent data” according to the Times. Still, even after being rebuked again and again by federal judges, the Department has been incredibly, callously slow to act. “This rule is only as good as the administration’s intent to implement it,” Toby Merrill, the Director of Harvard Law School’s Project on Predatory Student Lending, told the Times. The Department tries to argue that this issue is complicated, but it is not. If borrowers were cheated by their school, the government must cancel their loans upon request. It’s what borrower defense is all about. Our partners at The Debt Collective organized cheated Corinthian students in 2015 to demand the cancellation of Corinthian debts. And Eileen Connor, the Project’s Director of Litigation, worked with Debt Collective to develop the original borrower defense application, and was a negotiator for the committee that developed the 2016 borrower defense rule. She even proposed the arbitration provision, which got added to the 2016 rule and took effect when we won Meaghan’s case. Hundreds of thousands of students have applied for borrower defense since 2015, but only a very small fraction of claims have been processed. This includes another one of our cases, ITT, where only 33 students have received cancellation with 13,000 applications outstanding. Seeking justice for borrowers has never been easy. The court victories we’ve achieved have made significant progress, but are just the beginning of the work that lies ahead. It’s past time for the Department of Education to do the right thing and cancel the debts of students who were cheated by Corinthian, ITT, and other predatory schools. We’ll keep fighting alongside these students, one victory at a time, until they do.